Looking for a new idea for something to do with some of those leftover hard cooked eggs? How about trying something a little different? Skidne æg was one of my favorite lunches growing up, which translated means Dirty Eggs, not the greatest name, but the flavour, well, let me just say it’s yummy. Ideally, you want eggs that are just barely hard cooked, most recipes call for a 7 minute egg. However, this recipe does yield itself very nicely to hard cooked eggs as well. Which is why I’m posting it today. If you have kids, they wanted to decorate hard-cooked eggs, and you probably have a few left over since you know your kids didn’t really want to eat all those eggs, just decorate them. I know you can always make egg salad sandwiches, or potato salad or sliced eggs on bread. However, why not try this with some of the eggs. And by now you’re probably sick of the hard-cooked eggs anyway. Peel your hard-cooked eggs and set aside. 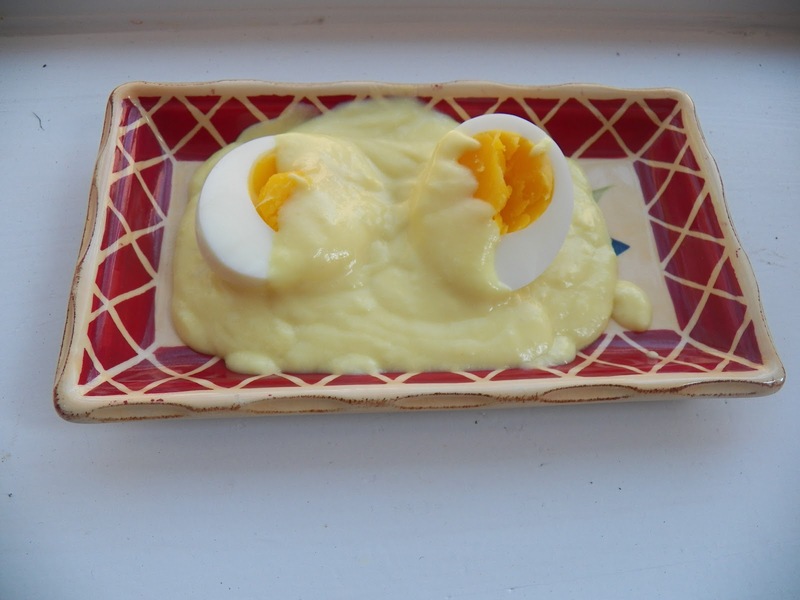 I made some eggs up for this, because I didn’t decorate any eggs this year, but as I said before, this is also a great light lunch so go ahead and boil a couple of eggs if you don’t have any handy. I’ll wait. Ready? Good, so am I. To start with, make a white sauce, simple right? But try using this trick, heating your milk in the microwave while you are making a roux. Which is just your basic flour and butter or oil, in a pan. Then whisk in the hot milk with the roux and cook for a minute or so until thickened. Add a couple of tablespoons Dijon Mustard and whisk that in. Some salt and pepper to taste and then you are ready for the eggs. You can warm your peeled hard-cooked eggs, or barely cooked eggs in some hot water for just about a minute or two, if they’re cold. 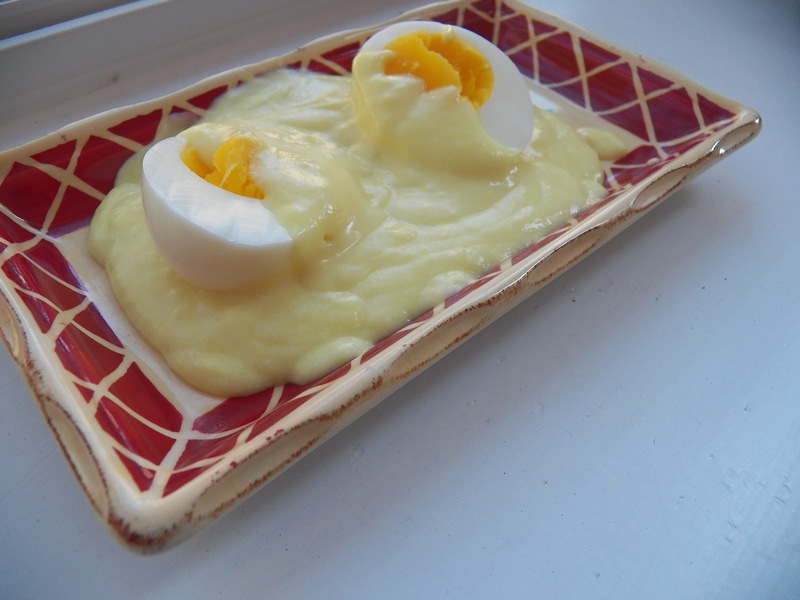 Or my mom used to just stick the peeled cold eggs into the sauce and spoon the sauce over them for a couple of minutes to warm the eggs up again. Just keep the pot on low while you’re doing that. And serve the eggs with a side of rye bread or in my case white toast since I didn’t have any Rye-bread. I know it’s time to make a few loaves. But I’ve been in a time crunch the last little while and every time I plan on a baking day, my plans get changed. There you have it, a simple, different way to serve those pesky leftover hard-cooked eggs or just a nice light lunch. constantly. 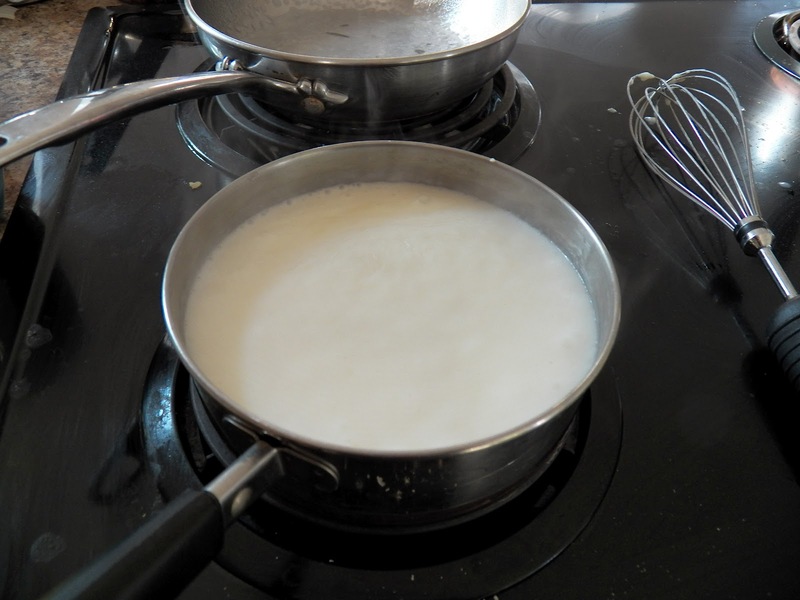 Then whisk in the hot milk, and cook until thickened. Stir in the mustard and taste. Add some salt and pepper at this point, to taste. Add your eggs to the pan to heat up or if using freshly cooked eggs, place your peeled eggs onto a plate and pour the sauce over them. Serve with some lovely rye bread or toast. This entry was posted in Danish, Leftovers and tagged Eggs, Mustard. Bookmark the permalink. Perfect for the glut of eggs from my hens! That looks good – eggs and mustard are two of my favorite things! I think they work very well together, especially in this dish.